Sweatshirt by BRAX FEEL GOOD with full-length sleeves. 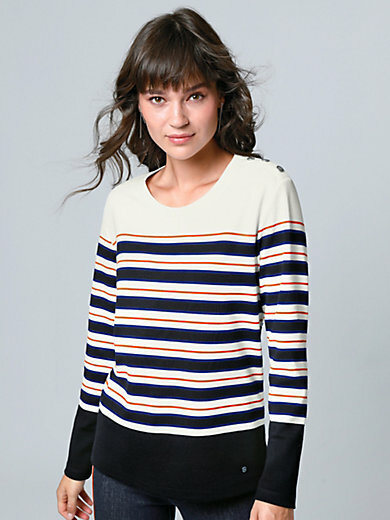 Sporty striped design with narrow orange stripes for an on-trend summer look! Casual style with side slits and decorative buttons on the shoulder. In 85% viscose, 10% polyester, 5% elastane. Length approx. 24ins. The sweatshirt is machine washable.